Try a different country per month to call home and travel around. Every month, Wifi Tribe chooses a different city to call home. They are a mix of young, wild and free, location-independent professionals and they invite to join with them anywhere along the way: entrepreneurs, photographers, developers, writers, designers, marketers, adventure addicts! January & February: South Africa, Colombia. February & March: South Africa, Colombia, Ecuador. March & April: Peru, Colombia, Panama, Snow Chapter (coming soon). April & May: Bolivia, Mexico, Spain, Japan. May & June: Colombia, Guatemala, Hungary, Bali. July & August: Peru, Colombia, Iceland, Bali. August & September: Bolivia, Colombia, Italy, Kenya, Bali, Philipines. September & October: Bolivia, Brazil, Portugal, South Africa, Bali. October & November: Argentina, Mexico, Portugal, Spain, South Africa, Thailand. November & December: chile, Costa Rica, Portugal, Oman, India. January: Nicaragua (America) / South Africa (Africa-Europe). February: Colombia (America) / South Africa (Africa-Europe). March: Colombia (America) / Morocco (Africa-Europe). April: Ecuador (America) / Morocco (Africa-Europe). May: Peru (America) / Florence (Africa-Europe) / Bali (Indonesia). June: Bolivia (America) / Split (Africa-Europe) / Berlin (Africa-Europe) / Malaysia (Asia). July: Bolivia (America) / Berlin (Africa-Europe) / Malaysia (Asia). August: Brazil (America) / Budapest (Africa-Europe). September: Argentina (America) / Lisbon (Africa-Europe) / Egypt (Africa-Europe) / Vietnam (Asia) / Bali (Asia). October: Mexico (America) / Barcelona (Africa-Europe) / Kenya (Africa-Europe) / Bali (Asia) / Thailand (Asia). November: Mexico & Costa Rica (America) / Kenya / Gran Canaria (Africa-Europe) / South Africa (Africa-Europe) / Thailand (Asia). December: Costa Rica (America) / South Africa (Africa-Europe) / Thailand (Asia). 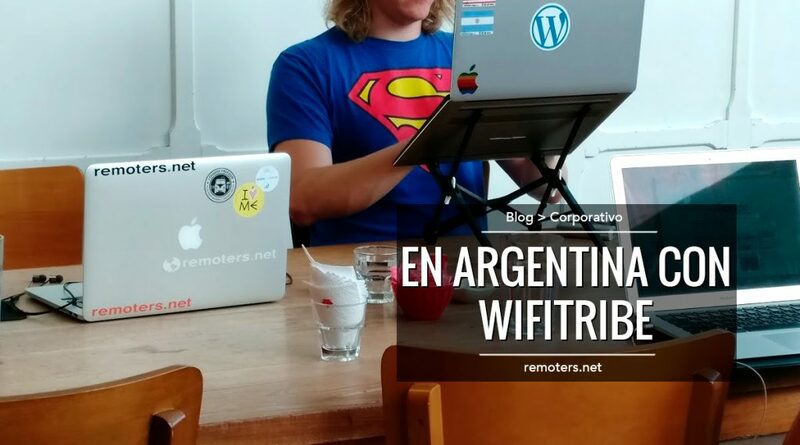 Read Remoters experience traveling with WifiTribe (in Spanish).